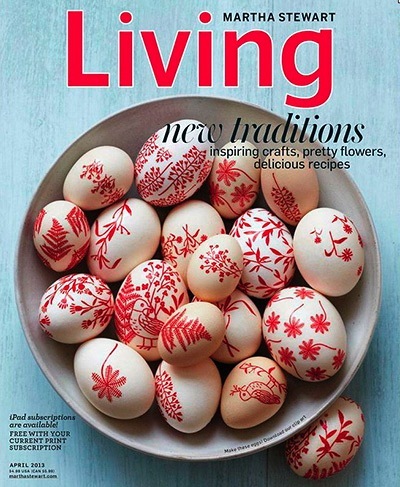 Have you seen the cover of the current issue of Martha Stewart Living? 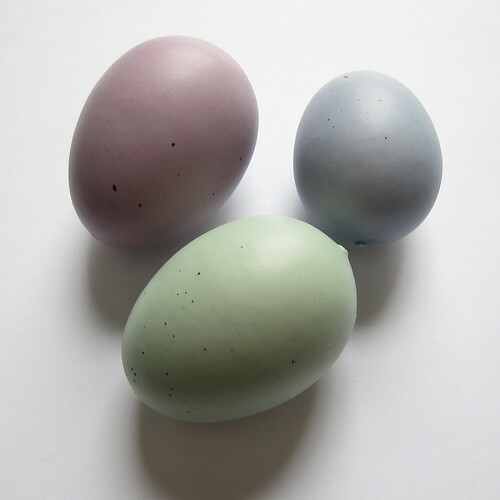 How striking are those eggs? I really like the graphicness of them. They are made by putting decals on the eggs (I’m assuming waterslide decals like we used at halloween). I like the idea, but know those decals would be hard to wrap smoothly around an egg and unless you cut them completely out you would see the shininess of the decal. I thought there had to be another way to get the same look. Well it’s really so simple, it just took a fine point Sharpie. I started with some fake eggs I picked up at Michael’s. I liked the fact they were matte and had soft colors. The matte is important because the marker will dry fast and not smudge. 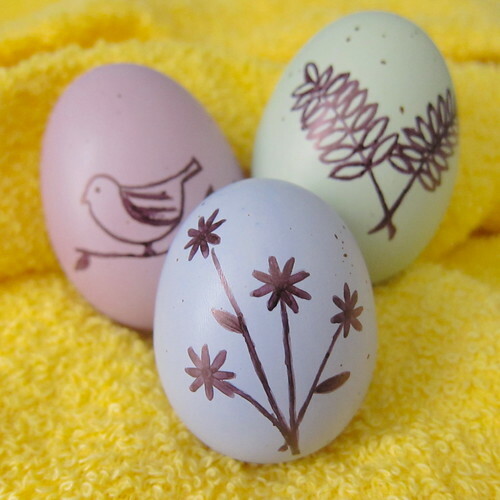 You could also use real blown or hard boiled eggs (this would look fabulous on the white like Martha used). 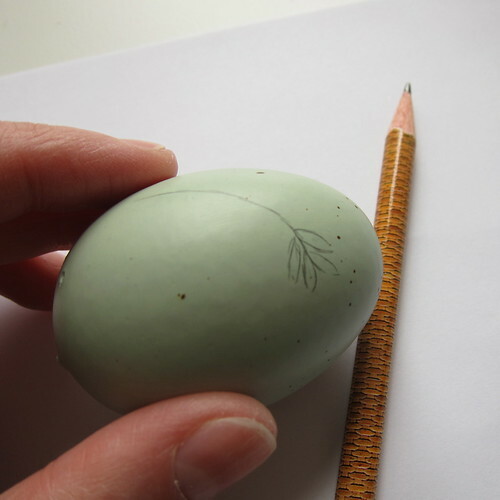 Now if you are a confident doodler, you can start right on the eggs with the marker. I’m a little more tentative, so I did some basic sketching first with a pencil, mistakes can be erased. Then I topped that with the Sharpie. I wanted a nice black line and found it took going over the lines a couple times to get that. It’s best to draw the line, let it dry and then go over it again. They dry quite fast, so this doesn’t take a lot of time. You can cover the whole egg or just do one focused design. Now, I’ve got to go get a red Sharpie and some white eggs! 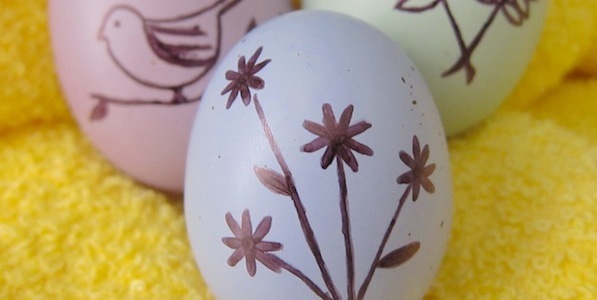 Love the doodle eggs , for the kids . I started a craft night at were I live . I need help with what is out there to do crafting with different ages . Your site is helping me alot . Thank you for alot of ideas . I will use some of them on the 9th . I hope you don’t mind . Glad you found some useful ideas for your craft night! That’s why we post them.